I've never professed to be a massive comic fan, but playing with speech bubbles and doing any amount of research into them you do begin to spot some of the real gems out there. I've spent the last few weeks doing some earnest research in preparation for my presentation at the Message Symposium tomorrow and an article I'm writing and it's been great to pull together some disparate strands and begin to see some sort of 'story' take coherent, chronological form. 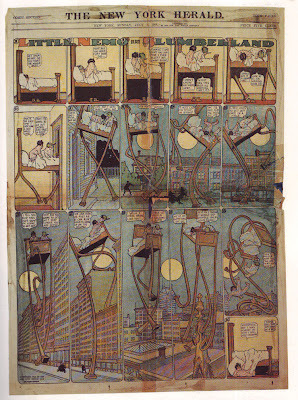 The four above pieces by Winsor McCay are just delights, both conceptually and visually. 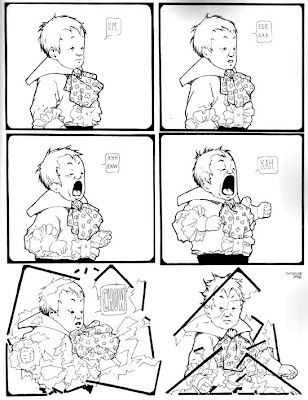 Little Nemo in Slumberland - a strip all about dreams and non-reality. 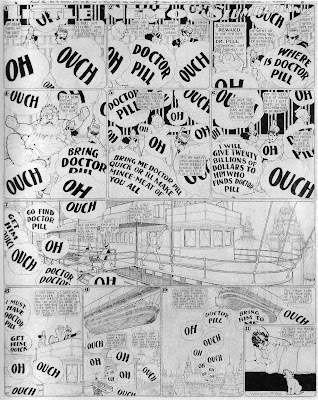 Speech bubbles that take over the entire frame becoming insistent, significant and of a character and will all of their own. Words that we no longer have control over. 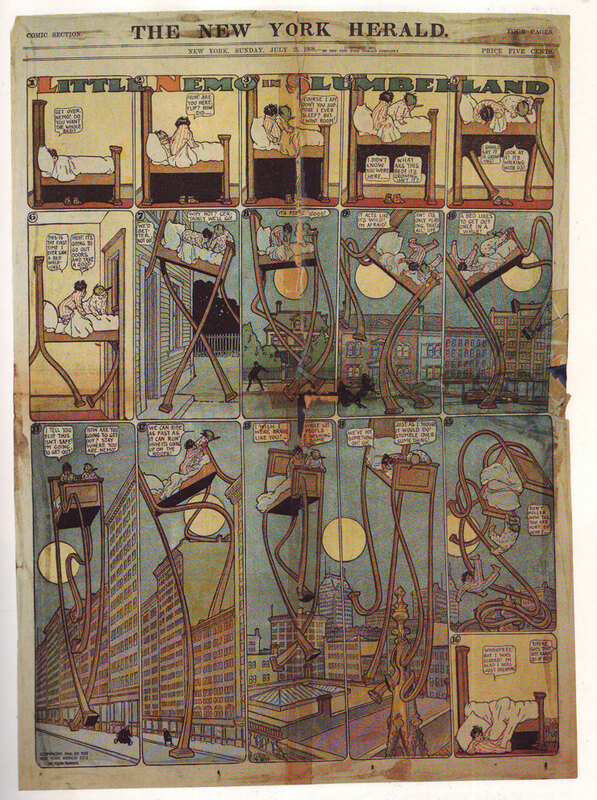 In McCay's world, beds come to life on extravagantly long legs, characters that are stretched out like rubber-bands. It's almost nightmarish. But not quite. The character always wakes up at the end. 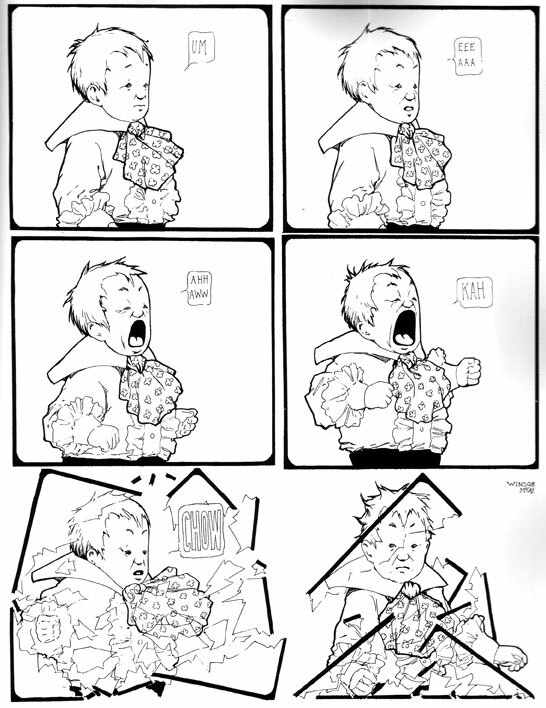 Little Sammy Sneeze brings up the rear: Sammy shatters the frames of the comic with the force of his sneeze. 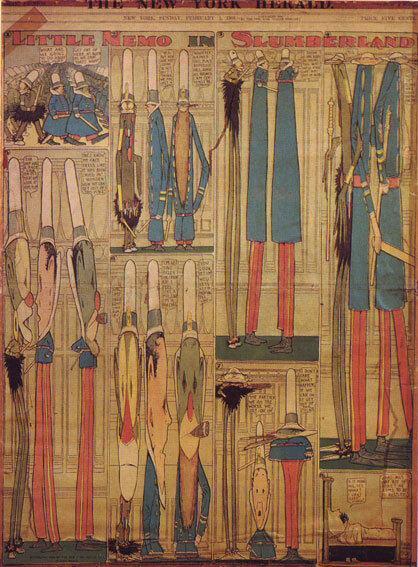 A page comic published in the New York Herald in 1905.